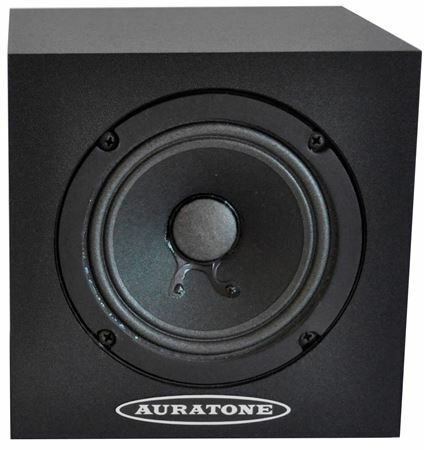 Shop Auratone 5C Pair 5" Passive Single Driver Studio Reference Monitor from AMS with 0% Interest Payment Plans and Free Shipping. There is a reason why the Auratone Sound Cube is a 2016 inductee into the TECnology Hall of Fame! There was always something about Auratone speakers that made them easy to listen to, mix on, and made them translate to just about any small radio or TV speaker on the planet. When they ceased manufacturing, a hole was left in the market that some have tried, but none have been able to fill. Today, Jack’s grandson has decided to take up the Auratone banner again, finding modern manufacturing techniques and new sources to have just what was needed to create the classic sound again. 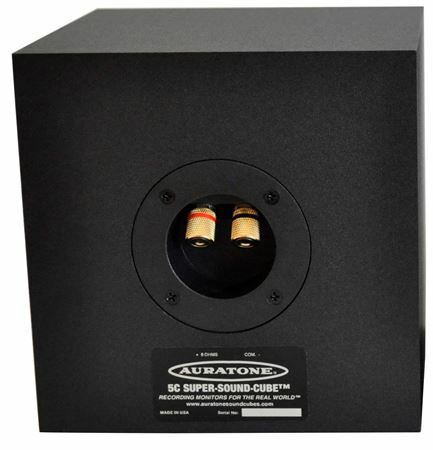 After lengthy testing and remanufacturing their driver, Auratone finally were able to achieve the purest sound equaling the sound of the original 5C Super Sound Cube. All componets of the driver are made of the highest quality materials here in the United States. The cabinet is built with black laminate surround, black laminate front and back, and quality craftsmanship here in their Nashville shop.